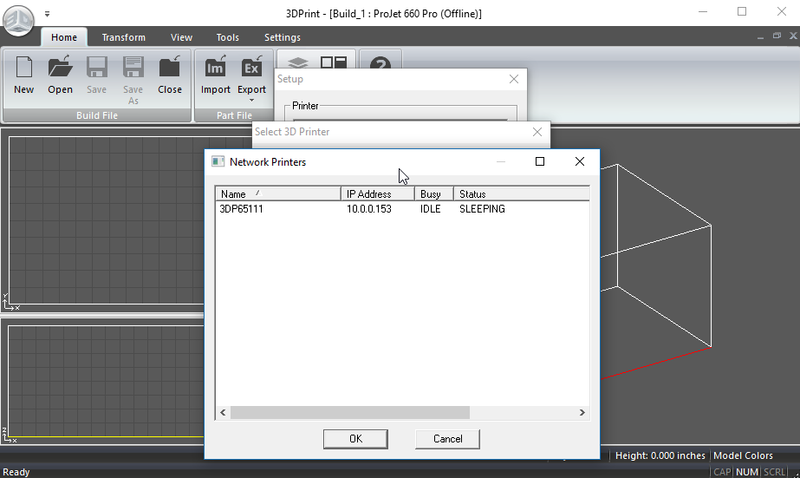 As you use your Projet x60 series 3D printer more and more you may encounter a few errors here and there, this is normal and can commonly occur after long printing sessions. 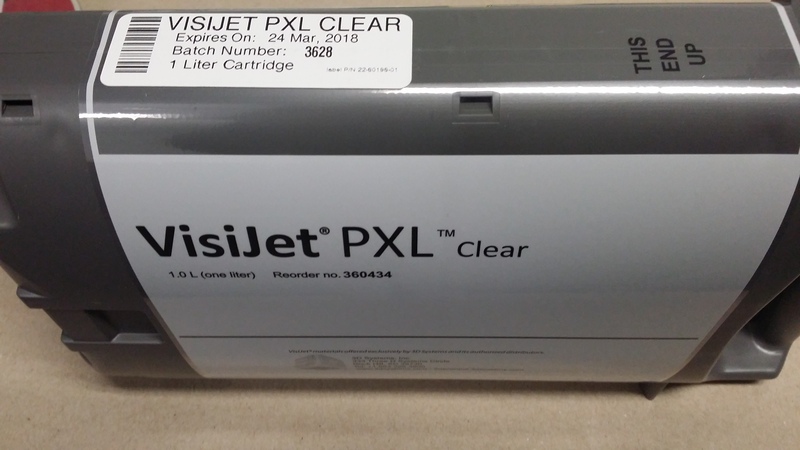 The reason for the errors can vary from not following the maintenance procedure and not cleaning the printer after every print job to various parts wearing out and reaching the end of its life. A lot of the errors are usually cleaning related so it is always best to follow the maintenance procedures and try to resolve the error using the troubleshooting guides found in chapter 7 of the user manual. If you still can’t get passed the error, then it is best to contact us for remote or onsite support. Usually the printer’s name or found on the back of the machine near the bottom. 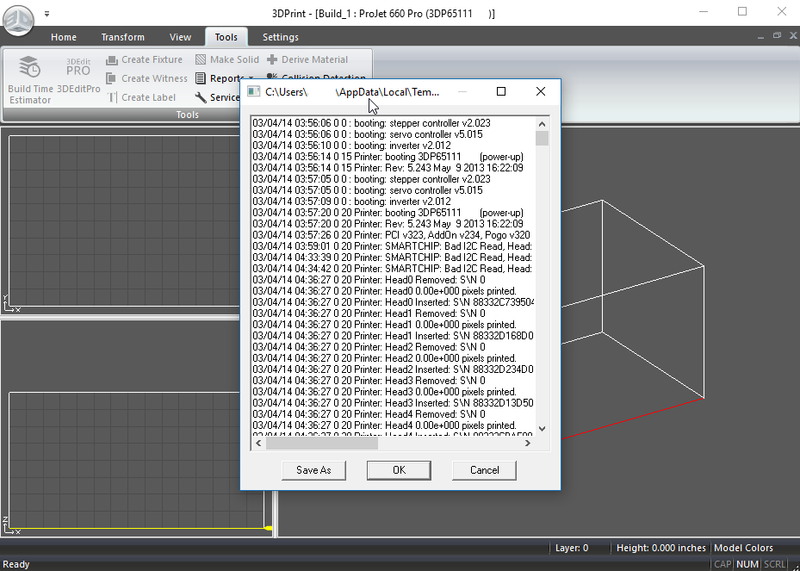 Found in 3D Print under Tools tab>Service>select View Printer Log and save file as. Provides us with a good idea of what is going on and possible causes/solutions. We can analyze further and see something that may have been missed. We can further analyze the issue and see or hear something that may have been missed. 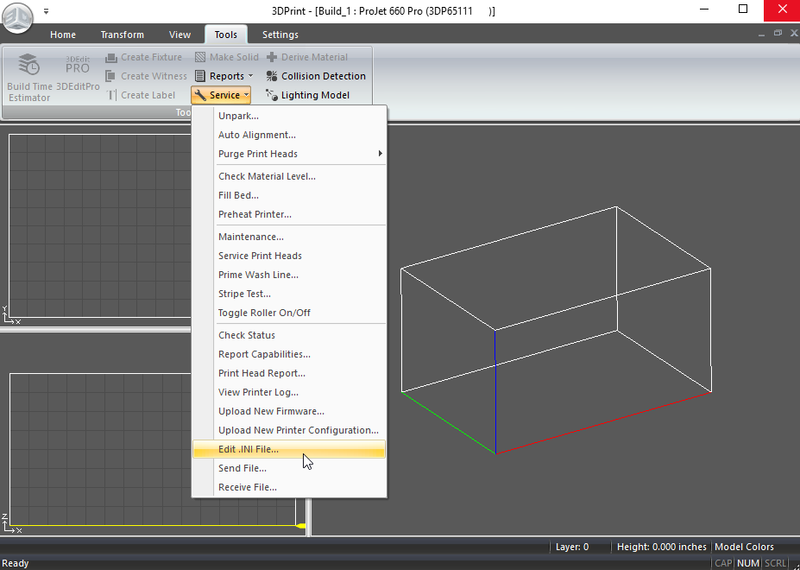 Found in 3D Print under Tools tab>Service>select Edit.ini and save file as. Found on Packaging (near top), consumables only have a 1 year shelf life. You can send the files to our 3DPrinting@microsolresources.com email address and we will be in touch as soon as possible. However, if it is urgent you can call in to our office @ 212-465-8734 and we can assist you on the phone. After reviewing the received files, we will recommend steps to resolve the problem remotely, or narrow down what the issues are and to determine which replacement parts may be needed for an onsite visit. These files should be sent with every new case being brought to our attention so we can provide you with the fastest and easiest support possible. Remember the more information we can get the more likely we will be able to resolve your issue during one onsite visit. Thanks and Happy 3D Printing! 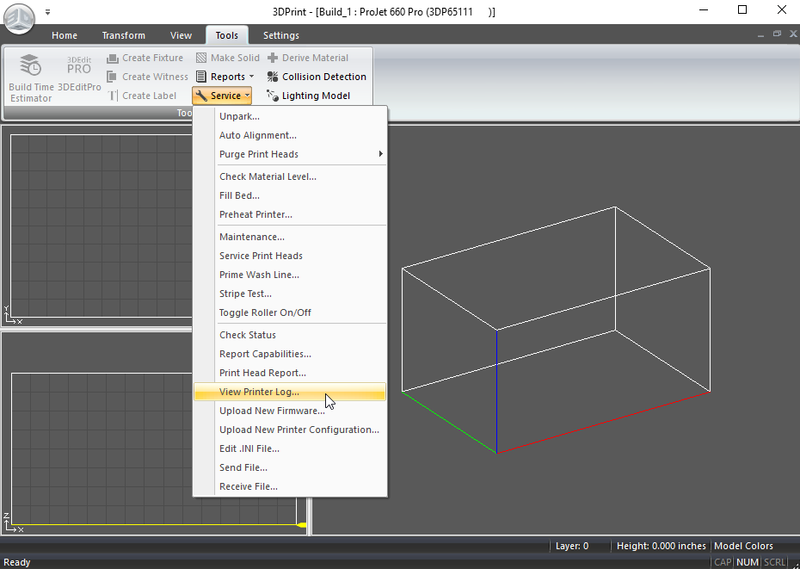 So you’ve just bought a new Projet x60 Series 3D Printer? Now what? Before you start printing models for your projects I would recommend printing a few sample models to get a better idea of the workflow needed to efficiently operate your new 3D printer. 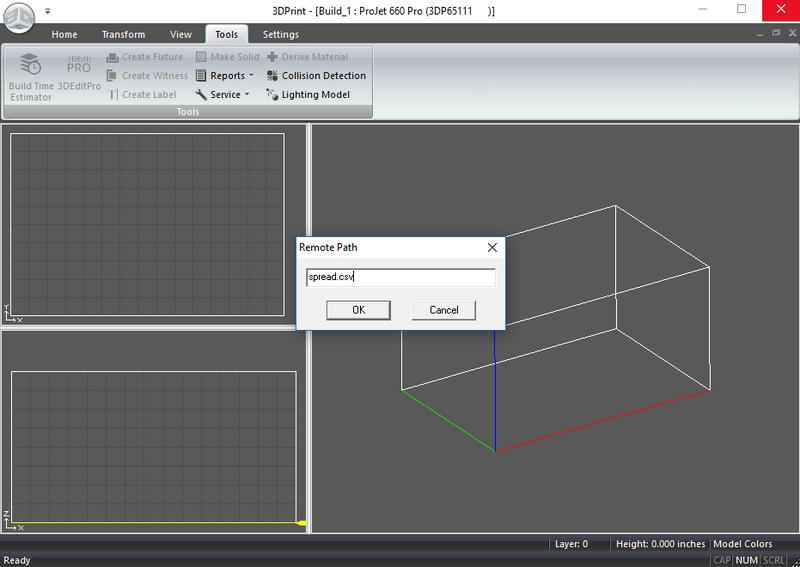 You should practice sending print jobs, then extracting, de-powdering and infiltrating the 3D printed models. Going through this 3D print process is a good idea since the Projet x60 series printers uses Visjet PXL Core (powder) as its build material and supports, so when a build is finished you will need to dig out your model using the vacuum and cleaning station, if you are not careful you can easily damage your model while vacuuming and brushing the powder off your model. I would say it is very similar to how an archaeologist would dig up artifacts or fossils, they need to carefully remove the fossil from the earth and clean off any excess material of the fossil . After you are done removing your model make sure to follow the cleaning and maintenance procedures from the Projet x60 Pro user manual so that it is ready for the next build. 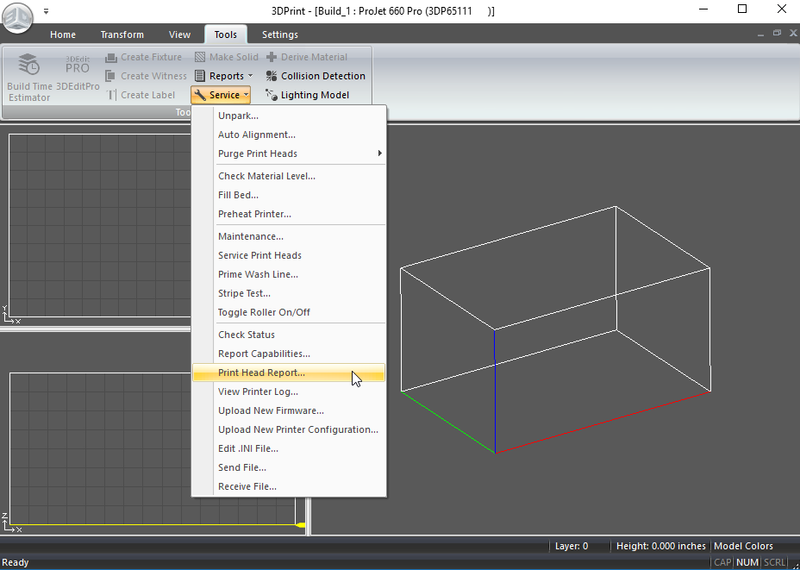 All you have to do now is find some sample models to practice with and you should be ready to print 3D models. It is best to make cleaning the printer after every build a standard practice to avoid any future issues with the printer. 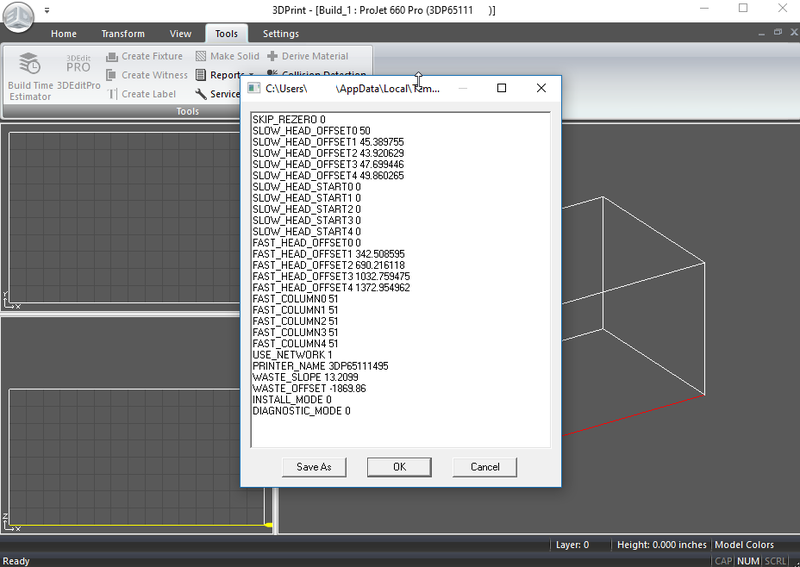 There are many sites online that you can download and print 3D models from and since you just bought a Projet x60 series 3D printer, I would recommend going to the 3DS Central website and downloading some samples from their parts library. They have models from all industries and I have chosen a few of the best AEC models that I recommend printing to fine tune and practice your 3D printing workflow. The first is the Sauna House, it is a great looking exterior of a small house and uses color very well to highlight the details of the house’s exterior design. 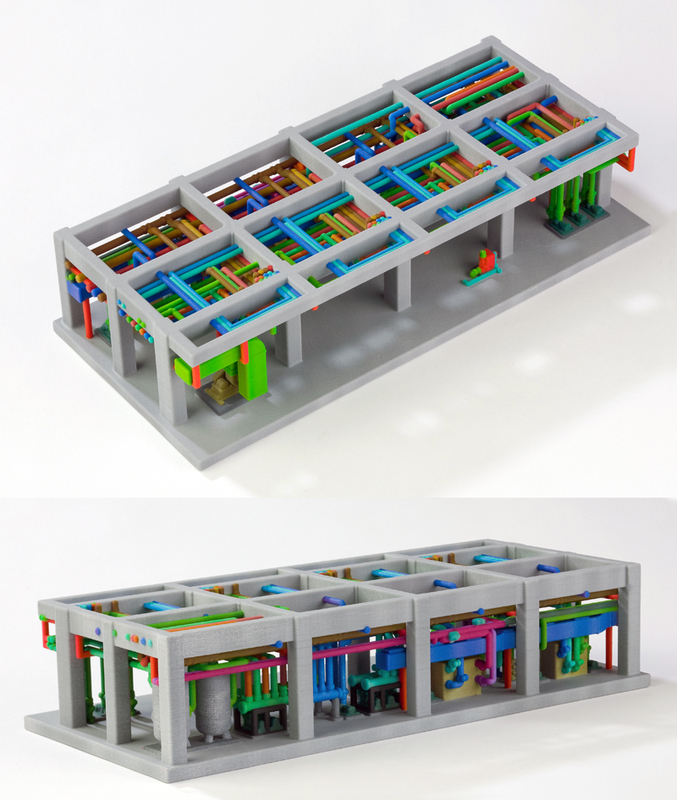 The next model I recommend is a favorite to our MEP clients of the AEC industry, it is the Shinryo Team S Plant model. Each pipe is uniquely colored to help distinguish where it connects to, making it easier to trace the pipes. Models don’t need to be printed in monochrome anymore, with the Projet 660 you can print highly detailed color models that can highlight specific parts or the whole model itself. The last model I recommend printing is the Jupiter 2 from the Lost in Space TV series. Other than being a space ship, it is a great challenge model to practice removing larger builds with many small and intricate details as well as good practice for any multi piece interior design models you may need to print. 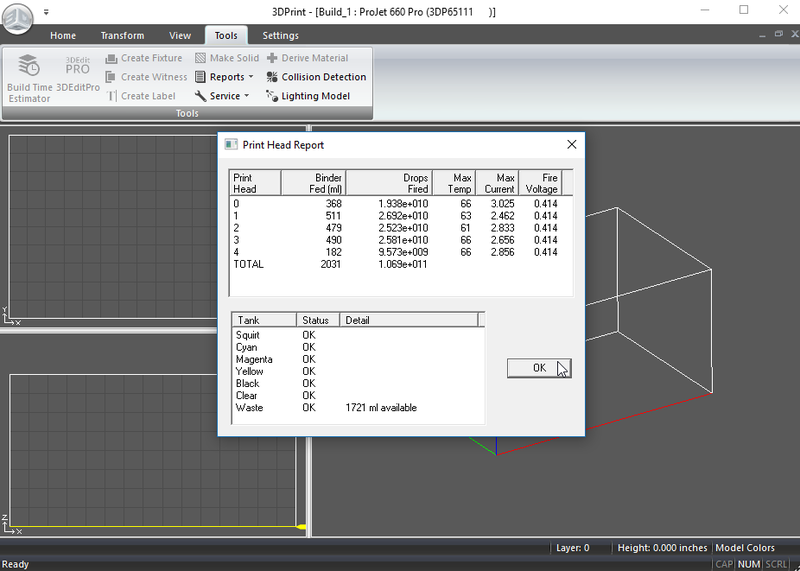 Of course you don’t have to print what I recommended here or from the internet, you will probably have your own files where you want to test out the color, tolerances, etc. As long as you have gone through printing a few models before you get into full production you shouldn’t have any issues using the printer and you know what they say practice makes perfect ;). 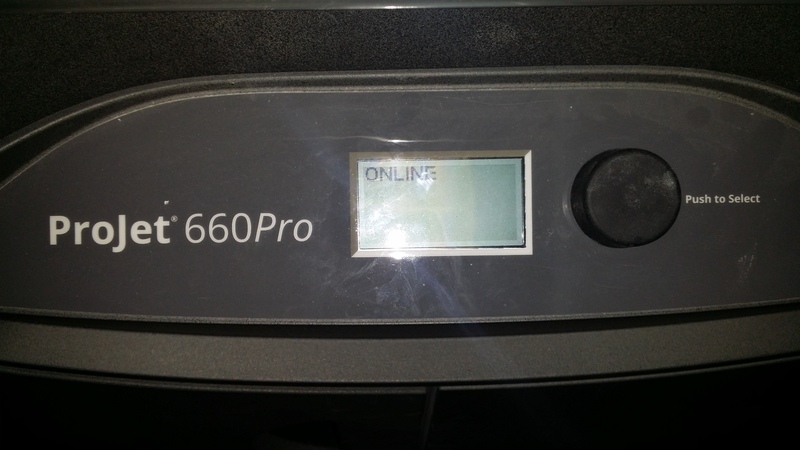 Printing samples will also help burn in your new Projet x60 series printer and help point out if there are any issues that need to be resolved or if any re-calibration needs to be done, of course this is the exception and most new Projet x60 series printers will not have any issues with them. But it is better to have the peace of mind of knowing everything is working properly before you start printing models for your projects. If you do run into issues, don’t hesitate to call or email us. Stay tuned to our blog for more information on ordering consumables for your Projet x60 series 3D printer and more new user information.